The Horror Tree Presents…An Interview with K.R. Rowe. Claire: Hi K.R! Great to chat to you. Let’s jump right in. Tell me about you! K.R. Rowe: Hi Claire! Thank you so much for having me. 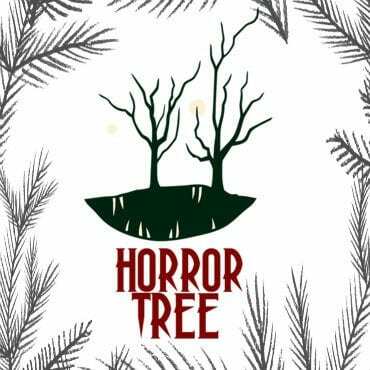 I’m honoured to be interviewed here at The Horror Tree. I’m a wife, mom and lover of the mountains and all things outdoors. I am fortunate to have two precious rescue chihuahuas and one ornery cat. I also love horror, heavy metal, animals, cheesecake, Milkduds, and writing. In my spare time, I love to hike and occasionally kayak. If I don’t get my outdoor time, I start to have withdrawals. 😊 I was born and raised here in Chattanooga and have family throughout the South and the Appalachian Mountains. Claire: What are you working on at the moment? Would you like to tell us what it’s about? K.R. Rowe: I’m on my fourth novel now. The first two, Amber and Blue and its sequel Victory, are romance/suspense but the third, Blood of the Sixth, is paranormal horror. My fourth will be paranormal horror as well. If I had to choose my favourite, I think it would be Blood of the Sixth. Claire: Tell me about your books. You feature ‘Blood Of The Sixth’ and ‘Amber And Blue’ on your Facebook author page and describe them as Southern Gothic. What do you mean by that? K.R. Rowe: Amber and Blue and Victory are romance/suspense/action. Blood of the Sixth is paranormal horror, and one reviewer has described this one in particular as Southern Gothic. The setting is the fictional town of Port Bella Rosa, Louisiana. Southern Gothic Horror is described as having a setting in the Deep South with characters who are usually complex and often mentally unstable. I didn’t realize that Blood of the Sixth would be considered Southern Gothic at the time of writing but many of the elements do fit within the style. Claire: You describe your genre on your Facebook author page as romance/action. How do you blend the two? K.R. Rowe: Sometimes love makes people do crazy things, and in Amber and Blue and Victory, you will find this to be true. I think excitement and romance go hand in hand, so the action is a natural by-product of the mix. Claire: What advice would you give to authors who want to fuse the two genres together? Or any two genres? K.R. Rowe: My advice is to let the story flow naturally. If you end up with action in your romance, then it was meant to be. Claire: Do you find it difficult to write different genres? K.R. Rowe: Not at all. I love romance, and I love horror. I think if you look closely, you will find a little romance in my horror as well. Claire: Tell me about the inspirations for your books. You mention the Appalachian Mountains on your Amazon author page. Has this location always inspired you? What else do you draw inspiration from? K.R. Rowe: The Appalachian Mountains played a huge role in Amber and Blue as two of the main characters met there. The first scene in Amber and Blue was inspired by The Fontana Village Lodge. A lot of inspiration comes from music as well. One of my favourite characters in Amber and Blue is a psychopath inspired by the song Possum Kingdom by the Toadies. I draw inspiration from multiple places, many of which are right here in my hometown of Chattanooga. For instance, a tree growing along the side of the highway once inspired one of my flash fiction stories, and a photo of an umbrella discarded on cobblestones inspired Blood of the Sixth. Claire: Do you conduct specific research for your stories? K.R. Rowe: I do a lot of research online. I do love to visit the places I write about as well, even if these places have inspired a fictional location. I’ve been to the mountain lodge, and the bunkers mentioned in Amber and Blue and I have also visited Old Montreal in Canada. It is a beautiful city, and I am anxious to go back. Claire: Tell me about your writing process. Do you set aside time to write? Do you write on a schedule? K.R. Rowe: I work full time during the day and recently I have been so busy it is difficult to find time to sit down to write. I rarely write on a schedule. I will find time in the evenings usually when dinner is done, and things are quiet. Claire: You’ve received great reviews on Amazon. 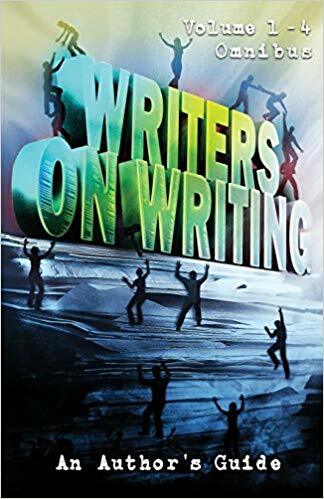 How important do you think reviews are for authors? How important are reviews for you? K.R. Rowe: I think reviews are very important. I do pay close attention to what people say, good or bad, and remember it while writing my next novel. Although I can’t please everyone, good constructive criticism can be a great learning tool. Claire: How long have you been writing? Have you always written romance/action, or did you develop your niche over time? K.R. Rowe: I’ve written poetry since I was in my early teens, maybe longer but I can’t remember anything specific before then. I also wrote short stories about my friends as a teenager and odds and ends throughout my adulthood. I didn’t become serious about novel writing until around 2010. I enjoy a good romance and I think that the genre came naturally, but I ended up killing a lot of people in my books and wondered why I was writing romance! Haha! I switched gears to horror and find that I absolutely love writing the genre as it allows me more creative freedom. K.R. Rowe: Although many are named from people I know, my characters are purely fictional. Claire: You mention in your website bio about spending free time with your family. How important do you think it is for writers to take time away from writing to delve back into ‘the real world’? K.R. Rowe: Oh, it is very important. It is great to live in the fictional world in my head for a little while, but we only have one life to live, and we need to live every second to the fullest. It is important to spend time with loved ones because we will never get that time back. Claire: Writers are weird, right? What’s the strangest/most interesting thing about you? Claire: Tell me about your future projects. K.R. Rowe: Currently, I’m working on my second horror novel. It is paranormal, much like Blood of the Sixth and if you like demons, you’ll enjoy this one. I hope to have it ready in 2019 or 2020. Claire: And finally, you’re stuck on an island with only one book. What’s the book?